How old were you when you realized that music would be your life? Was there an eye-opening moment when you realized it was more than a hobby? I was actually somewhat of a late bloomer when it came to music. It took me finding my parents’ Billy Joel and Elton John collections to realize that I wanted to play the piano. Most kids start at 4, and I didn’t get going until I was about 12. When I was in high school, I sat down to watch Harry Potter and the Sorcerer’s Stone in the theater. While I was seeing those beautiful images, and hearing John Williams’ amazing score, I had an epiphany that I wanted to create magical moments for other people through the composition of film scores. As a student, you studied under prominent figures in the industry. If you had to only pick one piece of advice from them to live by, what would it be? It may seem like a bit of a downer, but one piece of advice that I always give out to others is “If you can think of a single other thing you’d like to do other than music, do it.” A career in music is a beautiful and rewarding thing, but it is a hard life to get into. There is often not much money as you get started, and you have to have an enormous drive to excel in your field – it’s not all fun. If you can’t think of a single other thing you could see yourself doing – you have found your calling. Buckle up! What is your biggest source of creative inspiration currently? As always, I tend to find inspiration in the work of others. I love to listen – to both word and music. Ideas always fascinate me, especially when I don’t necessarily agree with them. That chewing of thoughts is what creates the energy needed to sustain creativity. Have you ever questioned the path you are on? I think that if you haven’t questioned the path you are on at least a few times, you need to slow down and consider your life! Questioning our actions and life progression isn’t always a bad or stressful thing. Sometimes, it’s actually quite affirming! I always take stock of where I am, what I want, and where I see myself in the future. Has it changed recently? Why? These are all vital questions to understanding yourself, and what motivates you to keep on going, and making sure that you don’t become a drone – just doing the work because it’s what you’ve always done before. What are your personal cures for self-doubt? As an entrepreneur, how long were you willing to wait to become profitable? Being a musician, I did have the benefit of a lot of mentor-warning. I jumped in knowing that for my entire formative period, it would feel like I was falling through a vacuum, and then suddenly, I’d land. The question of how long the fall would last was never answered because it’s different for everybody. I was willing to wait it out as long as it took – until creating music became personally painful to me, and too many negative feelings were attached to it. Only then would I decide to move on and try something different. Now, that is risky, because if I grew to hate music, that meant I’d lose it forever, as opposed to giving up early and trying to do both. However, I’ve never been that type of person. If I’m in, I’m in. I believe that there is no better marketing than showing hard work and results. Of course, one has to be media savvy and goodness knows that some have excelled with absolutely no skill except the ability to sell empty air. Still, if you can find any means to show your work – quality work that lends credence to your name, take it. Three things that make you successful? Personal satisfaction, an untainted view of where you came from, and a hungry drive for where you are going next. 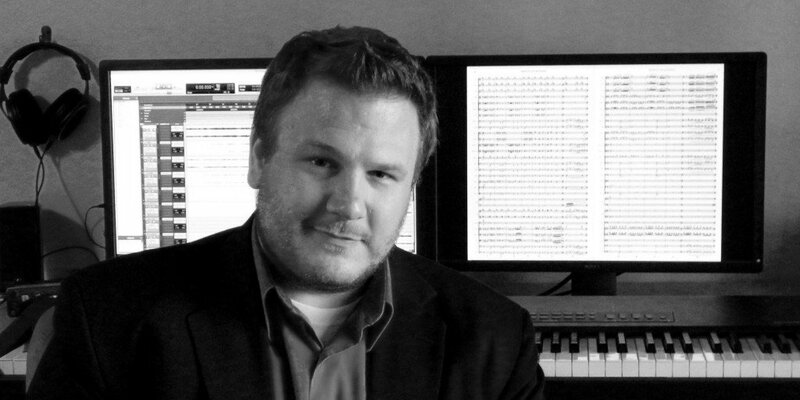 John Ross Jesensky is a composer and musician known throughout the music and film industry for his exceptional compositions created specifically for both feature-length and short films. A gifted musician widely respected for his exceptional abilities playing the piano, Mr. Jesensky has enjoyed a remarkable career that includes countless awards and accolades from the most highly regarded institutions within the industry. In addition to winning an award from the Cannes Film Festival, Mr. Jesensky also received official recognition from the Phoenix Film Festival, La Gona Film Festival and Bare Bones Film Festival, a product of his deep commitment to his field of endeavor as well as his exacting approach to the art of music composition.